× five = thirty Required Please enter the correct value. Investors searching for how to invest in oil in 2013 should be focused on these latest developments from the Arctic. As ice melts in the Arctic region, oil and gas trapped beneath the water becomes more accessible. Money Morning Global Energy Strategist Dr. Kent Moors recently explained to Money Morning members about the search for Arctic oil and gas. He spoke about the years-in-the-making U.S. Geological Survey's Circum-Arctic Resource Appraisal. The study found that 84% of the total undiscovered oil and gas left on the planet is located above the Arctic Circle, mainly offshore and in three huge basins that lie under shallow seas. This set off a mad scramble between the nations with territories in that region of the globe. The countries involved include: the United States, Canada, Russia, Norway, Sweden, Finland, Iceland and Denmark (Greenland). The once sleepy Arctic Council, comprised of the nations named above, was originally designed to promote cooperation among countries with interests in the Arctic. But because of the tremendous interest in the energy riches that lie in the Arctic region, the Council was recently forced to give six countries 'observer' status including energy-hungry China and India. Clearly, Arctic oil has the attention of both energy companies and political leadership around the world – and should also be on the radar of investors looking for how to invest in oil in 2013. 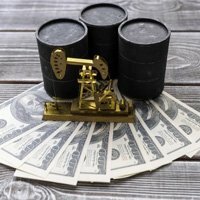 How to Invest in the New Oil "Gold Rush"
The initial push into the Arctic was like gold rushes in the past. In 2008, BP PLC paid an exorbitant $1.2 billion for licenses to explore only about 6,000 square kilometers in Canada's Beaufort Sea. This area is believed to contain roughly 5 billion barrels of oil equivalent. The mad bidding period is over, but nevertheless exploration continues apace. Research firm Chatham House last year, in a report, estimated that investments by energy firms into the Arctic could total over $100 billion over the next decade. That's a lot of money, even for oil companies. Companies are doing this because studies from the International Energy Agency and Statistics Norway show that a barrel of oil drilled from the Arctic will cost between $35 and $40, which is competitive with oil drilled in deep water. And for those wanting to know how to invest in Arctic oil, there are a firms that are already pushing into the region, including Russia's Rosneft, Norway's Statoil ASA ADR (NYSE: STO) and Royal Dutch Shell PLC ADR (NYSE: RDS.A).